According to Donald Davie*, Wordsworth “believed in a culture of the feelings, not in the cultivation of taste”. Davie claims that this is because “he thought he found, among readers of poetry, only vicious taste and unstable judgement”. For Davie, “pure diction embodies urbanity” but “Wordsworth was not interested in urbanity” and opposed to it “a determined provincialism”. He spoke, says Davie, “as a solitary, not as a spokesman; urbanity was none of his business, nor diction either.” What are we to make of this, and does it really apply to the poet who defined the practice of his art as that of “a man speaking to men”? 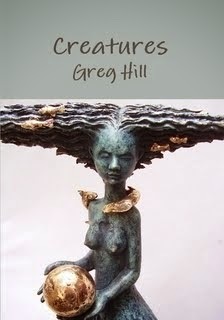 No doubt his pursuit of a diction for poetry that was as close as possible to common speech, and his refusal of inflated rhetoric in the construction of poems, marks him out as one who avoided the forms of public address that apostrophises readers or listeners in the category of those engaged in a political debate. In seeking a quieter voice he did, indeed, seek a provincialism that implies “speaking to men” in the most intimate of fashions. In this sense Davie, in appearing to do an injustice to Wordsworth, in fact identifies a crucial aspect of his practice as a poet. It is not one that leads to what Davie might have desired in terms of “purity of diction”, but it puts that lack of urbanity into a context that enables Wordsworth to be recovered from his apparent censure. Urbanity, or at least 'urbaness', is very much our condition today in a way that Wordsworth cannot have foreseen. But his “the world is too much with us” has never seemed so urgently to the point. If, therefore, to continue with his assertion, by “getting and spending/We lose all our powers”, then we might wish to conclude that it was never so pressing that we should return to just such a provincialism as his life in the Lake District represents; to just such a concern with solitary experience that prioritises the private over the public voice. Public voices in our time, whether they take the form of Tony Blair's 'sincere' professions of good intentions at the Iraq Enquiry, David Cameron on the 'Big Society' or simply a prurient interest in every detail of the lives of people known as 'celebrities' are, one might conclude, beyond redemption. Public life has, then, lost the savour of anything that might approximate to the proper exercise of men or women speaking to other men or women. To recover that might be to rediscover a provincialism that enables, in the words of Emily Dickinson, “letters to the world” to be more convincingly written. What of the ultimate expression of the solitary in the leech gatherer, presented by Wordsworth in his poem 'Resolution and Independence' as “Like one that I had met with in a dream / Or like a man from some far region sent, / To give me human strength by apt admonishment.”? Wordsworth himself found the confrontation with isolated solitariness (as opposed to his own adopted solitary stance) liberating. For Wordsworth the confrontation with “the leech gatherer on the lonely moor” brings his own superficial concerns into focus. He is enabled, by this token of the wild and of independence from the demands of public life, to return to himself in a way that puts this life into a context which transcends those demands. Davie's concern with diction is a concern with the media of public discourse. 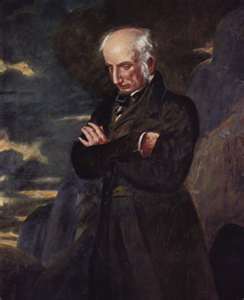 Wordsworth, as Davie himself was well aware, sought a more significant discourse that employed a speech that was at once both less august and yet deeper in its engagement with the significant depths of human experience. Not 'pure' but 'essential' if I may employ a term that has itself been demonized by contemporary sensibility. So much the worst for that. In a succeeding volume* Davie said that what Wordsworth brought to poetry was “the reek of the human” which is what defines his poetry in spite of the lack of 'purity' in his diction. Quite so.